Installing energy barrier products in your home can help you significantly reduce your energy costs, as well as help you maintain a more consistent indoor temperature year-round. Residents of Indianapolis, Muncie, Kokomo, and surrounding areas who are considering these and other benefits of installing energy barrier insulation can turn to the expert installers at L.J. Stone Company, Inc.
Our energy barrier insulation is made of technologically advanced radiant barrier materials that reflect heat away from your attic. The reflective nature of our insulation means that up to 97 percent of heat is blocked from entering your attic, which means that your air conditioning unit won’t have to work nearly as hard. In the winter, heat that rises into your attic is reflected back down into your home, helping to lower your heating costs. L.J. Stone’s highly skilled insulation contractors can help you begin to enjoy the benefits of energy savings sooner by promptly and efficiently installing your energy barrier installation. In fact, most jobs are completed in less than one day. 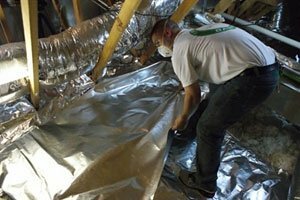 Additionally, we can easily install your new reflective insulation under your rafters, inside crawl spaces, and even directly over your old insulation, which will only help increase its efficiency. Residents of Noblesville, Anderson, Marion, New Castle, Richmond, Greenfield, and surrounding communities have turned to L.J. 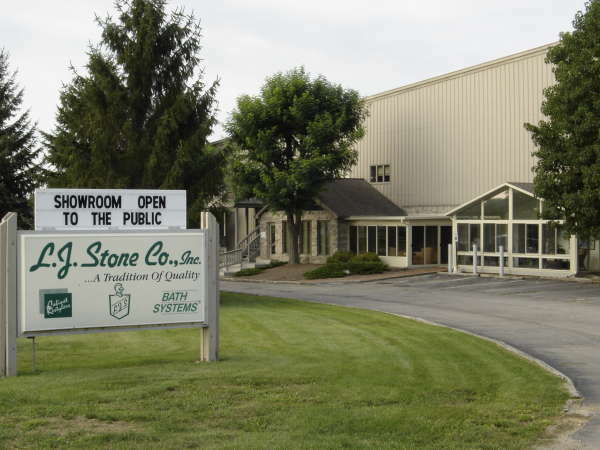 Stone since 1967 for exceptional home improvement products and services. In addition to our energy barrier insulation, we also offer and install vinyl siding, replacement windows, sunrooms, front entry door systems, and much more. To learn more about to our energy barrier products, and our full range of additional offerings and services, contact L.J. Stone today. We proudly serve homeowners in Greenwood, Rushville, Hartford City, and other communities throughout the greater Indianapolis area.